It used to be that headphones were about function rather than form but over the last few years style has surpassed sound, and it's no longer just about who you are listening to but what you are listening on. While Dre and his Beats range may be the big headline grabber, now that Apple has taken the brand under its wing, sometimes you have to forget about Dre and look to other manufacturers that are making sure the cans we wear stand out for the right reasons. T3 recently caught up with the head designer of AKG's celebrated Y-Series headphones, Rafal Czaniecki, to understand a little more about what goes into making a pair of 'phones that look and sound great but don't break the bank. To do this, Rafal looks at smarter ways to utilise the materials he chooses, rather than getting the user to pay more. Rafal has worked with Harmon Kardon, the company behind AKG since 2012, and his work on Y-Series headphones has won plaudits. The bold look of the range - putting the brand and striking colours at the forefront - has struck a chord but Rafal still find it hard about talking about his influences, as each range has a different story as to how it was created. He's much more at ease at realising what a headphone needs to do to be accepted by music-listening public. But what about the thing that goes hand in hand with fashion: celebrity? 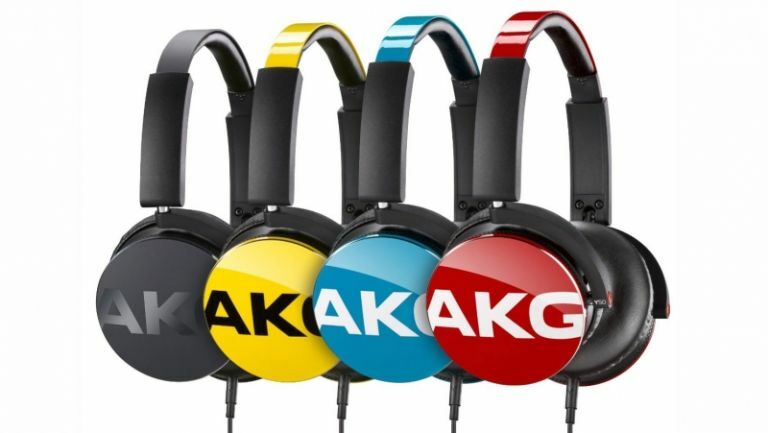 AKG has used celebrity endorsements in the past and Rafal was keen to point out that their influence should never just be their face or signature - they need to tap into the design process as much as possible. Rafal Czaniecki was part of the judging panel for 2014's AKG Inspired Awards, which was won by David Wojcik, a student Product Designer from Germany.